2 to 3 hours in the field. I will request that you join me on the walk through, this is to help you understand the home. I will point out any defects issues from the roof to the foundation and over 400 components in between. I will also explain maintenance that you should do to keep your home in its best shape. 4 to 5 hours in my office. You will receive a report by Email (PDF) for reference and to document my findings. The inspection report will include pictures highlighting my findings. My inspection report is highly detailed with custom narratives about the home being inspected. It is not a checklist. Because this type of report takes longer I will need 24 hours to get this report to you. 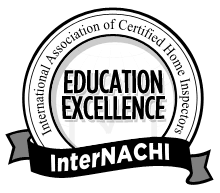 Delaware licensed home inspection professional. Cedar Rock Construction's Home Inspection is a one man (with the help of one woman) operation. I will be there on every inspection. At Home Inspections Delaware, you get a thorough inspection at a affordable price.